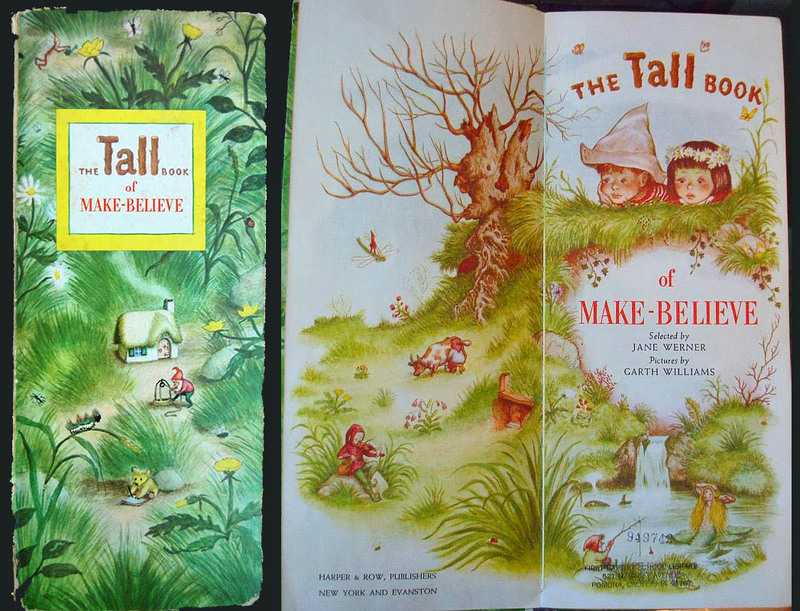 One of my favorite books when I was very young was The Tall Book of Make-Believe a collection of stories and poems selected by Jane Werner. I loved the illustrations, the imaginative stories, even the shape of the book: tall and slender. The stories and poems I enjoyed the most were the most fantastic and quirky ones. The ones that really involved your imagination. Here is a list of the included stories. I loved almost all of them but my favorites are in bold. 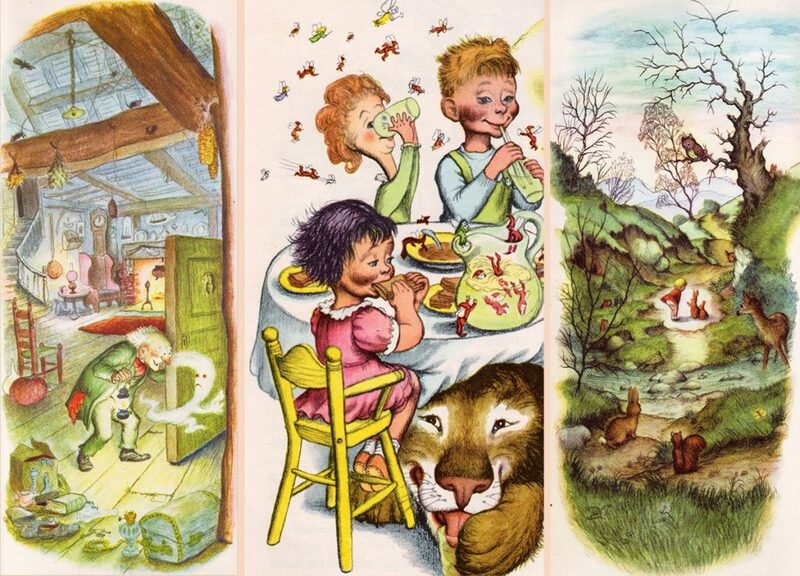 One of the things that made this book so much a part of my early memories was the beautiful illustrations by Garth Williams. Someone has collected a few of the original illustrations and put them online at larsonweb.com; they are definitely worth a look. Below are a few from the book. The left one is for The Invisible Playmate and the middle one accompanies The Very Mischief. Imagine, fairies swimming in your lemonade. And during breakfast. And there’s Rosa, flat as a pancake burning the peas because she can’t see them anymore (they’re round, she’s not). That’s the world I dreamed of: lions under the table, friendly ghosts in the attic, any manner of madness. I dated a man once who confessed that he had always dreamed of Darren Stevens’s life. You know, Samantha’s advertising husband in Bewitched; the man with the nice suit and suburban life. He then turned to me and said “What about you? What lifestyle did you always want?” The Addams Family immediately popped into my head, clear as day. Should I have told him? Hmmmmm.